With more than 40 years’ experience in the financial planning industry, I created the Andre Zaal Financial Group in 1996 with the primary goal of helping people build strong financial futures. I have found that what is most important is talking with my client’s, assessing their particular needs and goals, then working with them in developing an individual strategy that best meets their financial goals. Whether self-employed, salaried, inheritances or winning the lottery, all play an integral part in assessing client needs and concerns. Once I have an understanding of their situation, we work together to develop a life long financial plan. We consider all programs including Annuities, Life Insurance as well as assisting with Trusts and Wills. 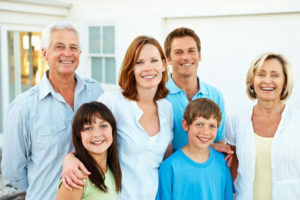 Many times a combination of programs is what is needed in developing the client’s short and long time financial goals. Over the years, I have built a team that is committed to partnering with their clients to develop secure financial foundations. This team cares about our clients and invests the time and attention to ensure each client is provided with the most appropriate strategy, products and services. We regularly attend trainings, seminars and conferences to gain new skills and knowledge in order to provide the most professional standards and to present the most current financial planning concepts. The Andre Zaal Financial Group specializes in designing and executing financial plans that provide the highest possible income stream for clients. In addition to developing successful strategies for lifetime income options, Andre Zaal Financial Group places particular emphasis on the continuous growth of the principal through a variety of income packages. Based on their extensive experience, they have found there are three primary elements that concern most of their clients: safety of the principal investment, longevity of income and equity growth. I have been helping people plan for their retirement and build strong financial futures for many years. And like many people, I put in a fair amount of work hours each week. I’m fortunate at the end of the day to feel that I have connected with my clients on an individual basis to help them achieve their financial goals. It’s a good feeling and it has been at the core of my personal reasons for what I do professionally. I also feel good about the other part of my life too. At the end of my day, as I drive through my ranch gates, I see the work of 22 years. My wife and I moved to Collinsville many years ago to pursue our love of horses and country life. In my spare time, we enjoy riding and training our American Quarter Horses. Jennifer and I have raised our horses here, hosted many community events, and spent countless hours enjoying the beauty of Lake Ray Roberts and the outdoors. Nature and animals have a way of clearing your mind and grounding you. I feel blessed to be able to do the things I love the most. Helping a broad mix of people each day. From young people just beginning their journey to teachers, doctors, ranchers to retirees. 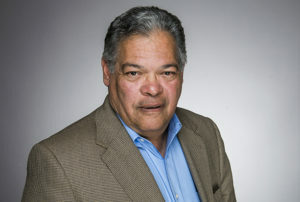 Andre Zaal has a bachelor’s degree from the University of Maryland, College Park. 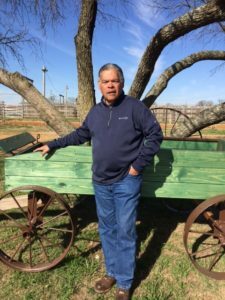 He is most proud of having a happy family, including his wife, Jennifer, three children and five grandchildren, as well as a beautiful horse and cattle ranch in the heart of North Texas. When he is not working, Andre is busy on the ranch, which offers horse boarding, training, riding lessons and weekly barrel races (www.zaalranch.com). Andre believes that strong principles build strong character. In the future, he would like to write a book on financial planning, sharing the expertise he has gained during the course of his career helping people avoid common financial mistakes.